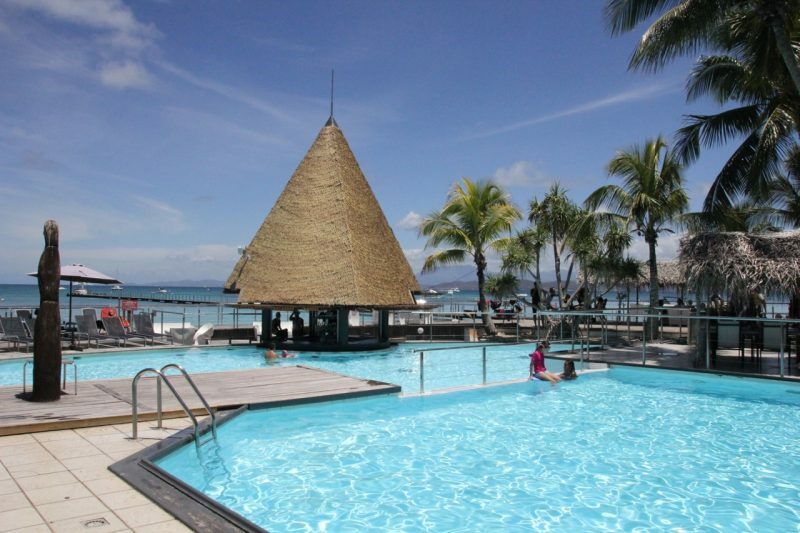 Nouméa, the capital city of New Caledonia is on the ocean. Its many sandy bays and beaches give it a Riviera feel, and the mix of French and Melanesian influences over language, culture and design make for a very unique destination. The city is a regular port of call for cruise ships from Australia and offers a welcome change from the palm trees and deserted isles making up the majority of a South Pacific cruise. The city gets mixed reviews and many people prefer to zip out on a tour or two and enjoy amazing snorkeling near smaller islands or different sections of the main island instead of exploring the inner city. It’s a matter of preference and as there are so many tours and excursions available in Noumea, it’s impossible for me to go through them all. We currently dock at a Container Terminal, therefore you cannot walk off the pier. The ship provides shuttles that will take you into the city to the Main Terminal outside of the Tourist Information building. Inside here you will be swamped with options for day tours and a great source information, maps and directions. 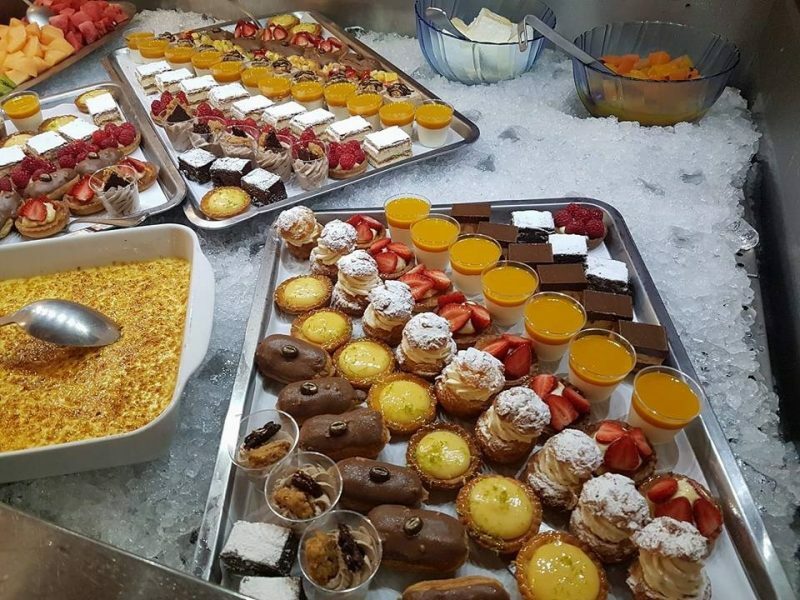 A short walk will bring you to some of the city’s hotspots, such as the Place des Cocotiers in the central city or the morning market near the marina. Currency – The currency in New Caledonia is the South Pacific Franc or Cour de Franc Pacifique, abbreviated to CFP or XFP and commonly referred to as the franc. 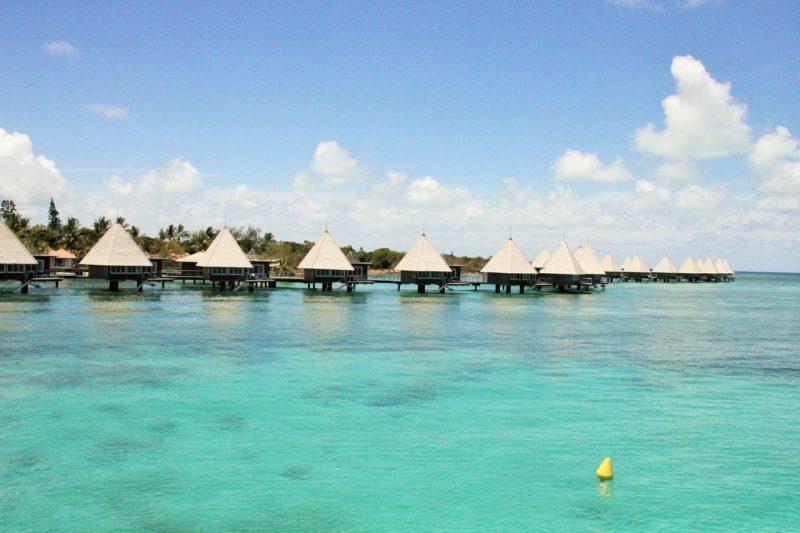 Major credit cards are accepted across New Caledonia. Australian dollars and New Zealand dollars are sometimes accepted. Weather – Being in the South Pacific, the weather in New Caledonia is beautiful most of the time. The average temperate hovers around 20-27 degrees Celsius year-round and there’s an average of 345 sunshine days annually. 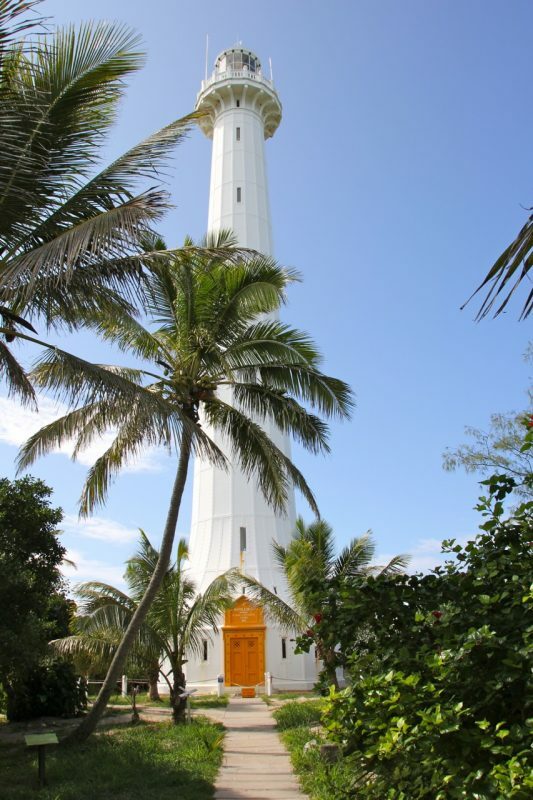 Board a luxury, high-speed ferry for a 45-minute ride to Amedee Lighthouse Island where paradise awaits. Upon arrival, you can relax on the beautiful white sand beach or join in the different activities that Amedee has to offer. 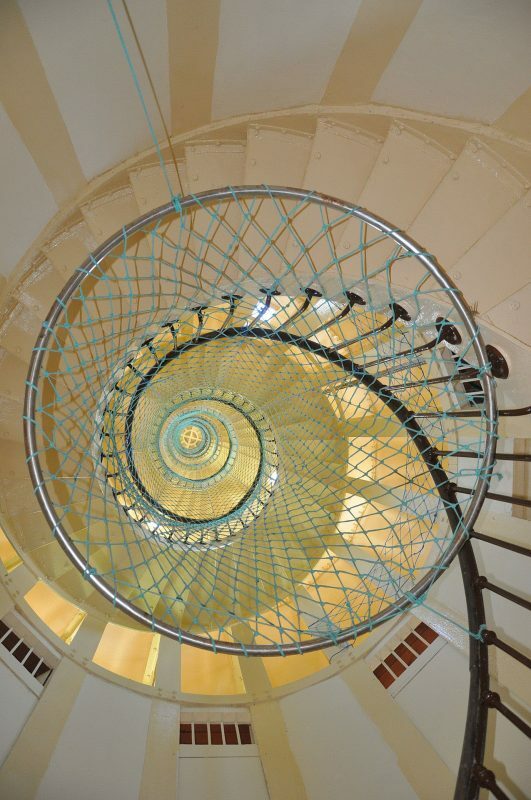 Climb the 241 steps of the lighthouse (the tallest of its kind) for a marvellous view over the lagoon. 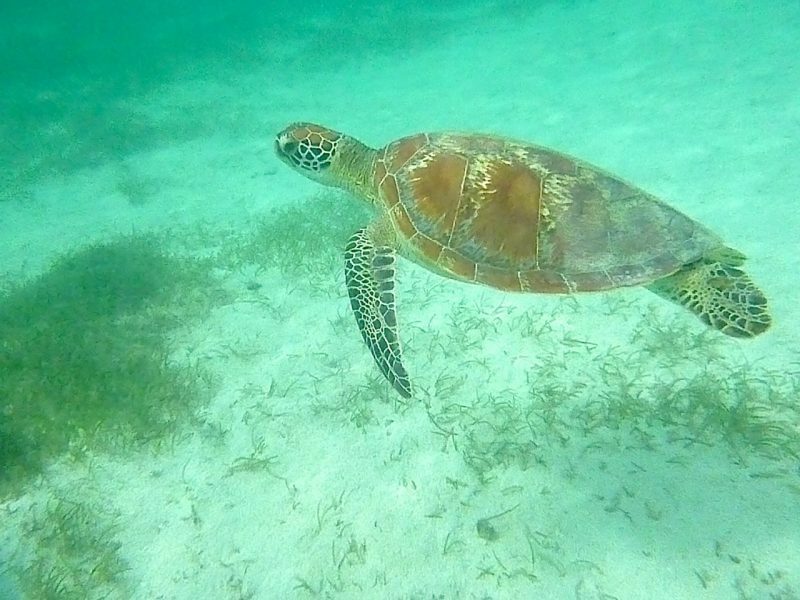 Stroll through the island or snorkel among the fish – a wonderful experience as Amedee is a marine reserve. 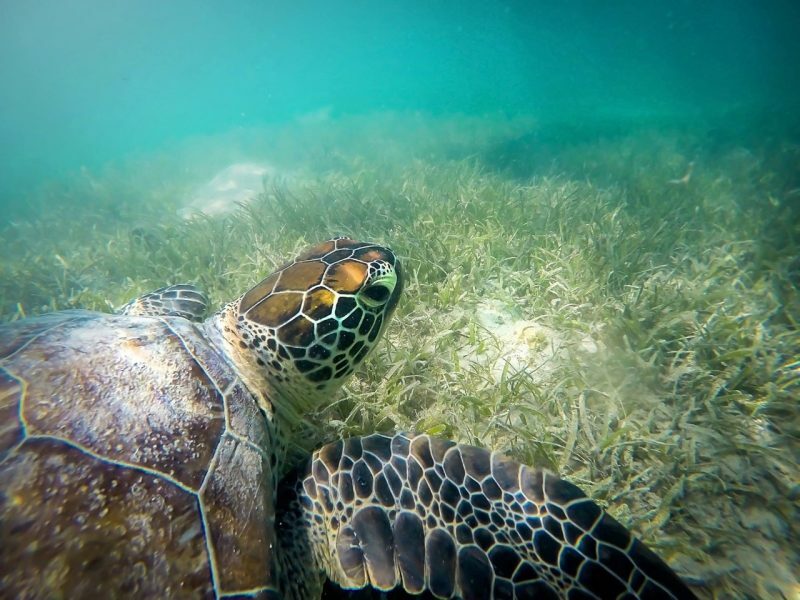 Learn about the local marine life on board a glass-bottom boat. 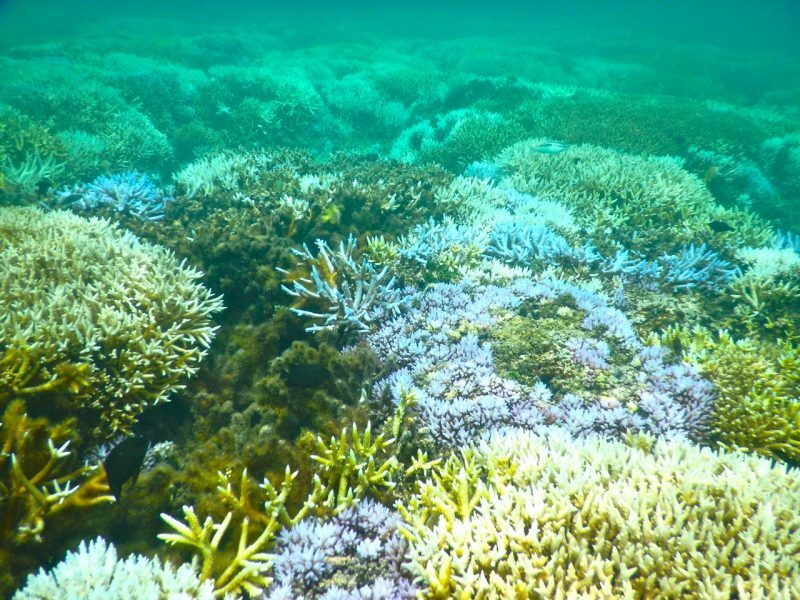 A barrier reef inhabited by turtles and stingrays and if you are into snorkelling another world is just below the surface. If I’m on a cruise with you this is usually the tour I will choose. Though I thoroughly recommend Amadee, this tour is a little cheaper than what you can book on board the ship and every bit as spectacular – minus the lighthouse. Firstly, included is a brief city tour then stopping at the morning City Market before heading over to the island on a modern ferry. 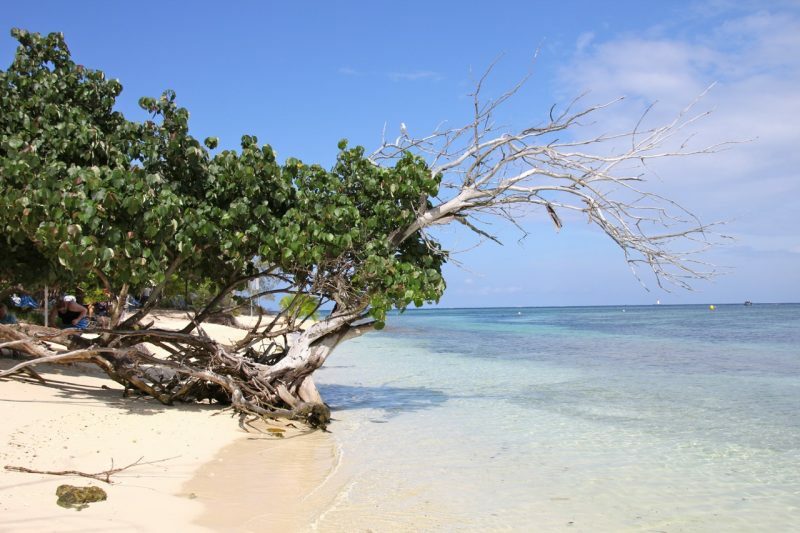 Escapade island is a small coral atoll just 25 min by ferry from Nouméa. At Escapade Island, crystal clear waters & a beautiful white sand beach await you and welcome you to this little piece of paradise, a natural protected marine park. You will marvel at the multicoloured coral, the beautifully clear turquoise water and all the tropical fish swimming around the island. “Things to do” are very diverse on Escapade Island ranging from just lying on the beach or by the luxury pool looking at the horizon, or simply discovering the atoll on a canoe. 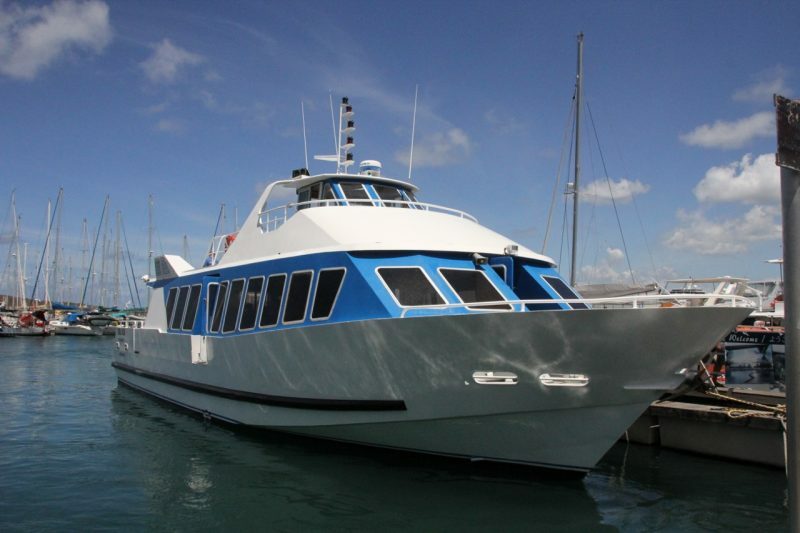 From the moment you will step onto the wharf in Nouméa, to getting onboard around 6 hours later, you will be surrounded by smiles, inclusiveness, activities and food!! Did I say FOOD!!! 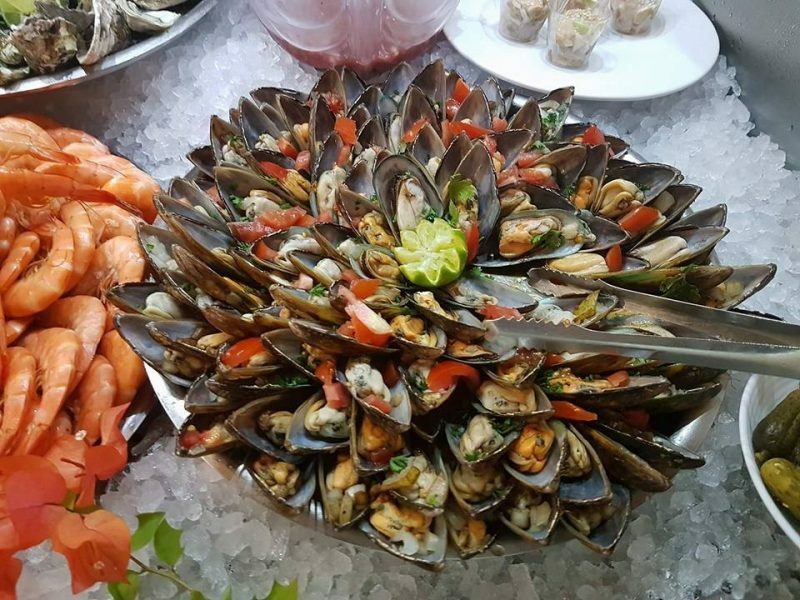 Your day will include an AMAZING delicious buffet lunch- plenty of fresh & yummy food of an amazing variety: seafood dishes, local recipes, and of course fine pastries!! – worth coming for just for the lunch if nothing else. Throughout the day, Alfred, our local “Gracious Organiser” will be on site to make sure you take advantage of everything the island has to offer. 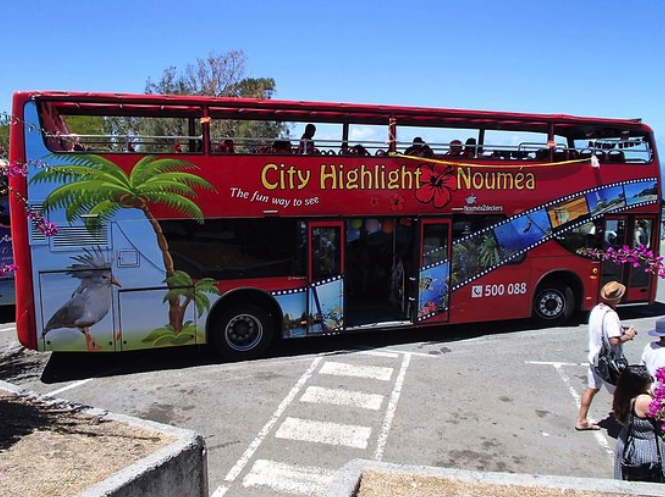 If you are not into Island hopping or snorkelling then I advise go on one of these two tours of Noumea. I have done both and they are both different. The advantage of the Hop On Hop off Bus is if you find a spot that you want to explore and discover what is around at your own pace and then just grab the next bus. The bus departs every 20 – 25 minutes from the Cruise terminal. Make sure you have your “Hop on Hop off” bracelent on and this will give you discounts along the way. e.g. 50% discount on first drink at the local brewery at Baie des Citrons (Lemon Beach) or 15% off discount from the Chocolate shop just near this bar. If you wanted to stay onboard the bus the entire trip takes around 45 minutes. The Tchou Train is unique and a great way to spend a couple of hours seeing the highlights. 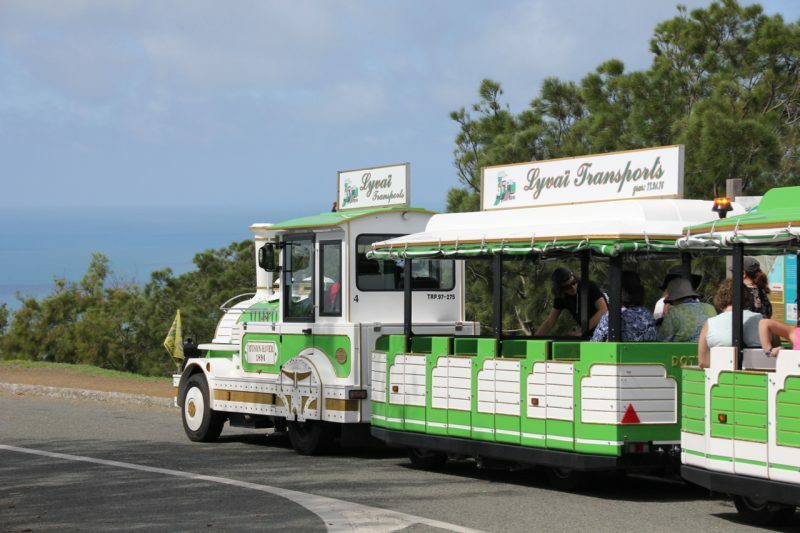 The Tchou Tchou Train takes you on a fun guided tour of Noumea. Starting from Anse Vata bay we stop at the Ouen Toro lookout point and then carry on to the Cote Blanche – a favourite spot for walking and jogging. Continue on to Faubourg Blanchot, where old residential buildings and colonial houses can be viewed, before heading up to the Notre Dame de Pacific lookout point. After enjoying the ‘FOL’ viewpoint over Noumea city center the train takes you into town before returning via the marinas and bays. 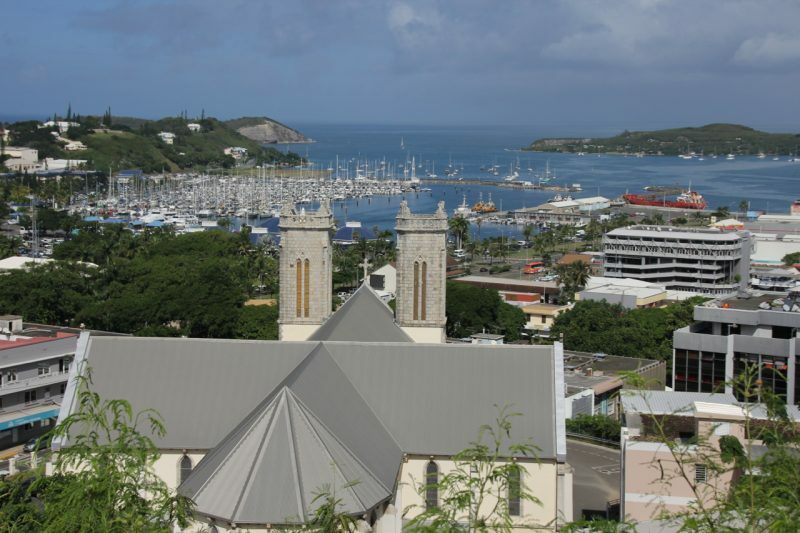 This entry was posted in Cruises, Port of Call and tagged Cruise, Noumea, Port of Call, What to Do.